Officials with the Austin Water Department said scuba divers found zebra mussels covering the filters of several water intake pipes. These pipes are responsible for getting water purified to make it into people's homes. AUSTIN — Invasive zebra mussels are quickly making their way into ponds, rivers and lakes across Texas. 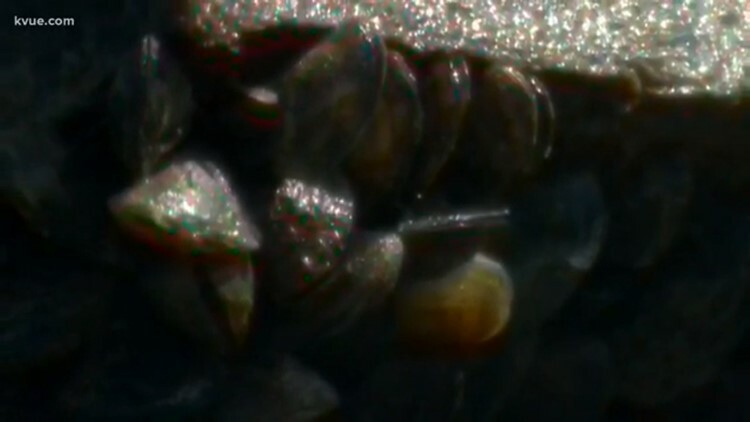 This has become a new worry for Austin's water department who said the mussels are now getting into water intake pipes. Officials with Austin's water department said scuba divers found zebra mussels covering the filters of several water intake pipes. These pipes are responsible for getting water purified to make it into people's homes. The city said they are now monitoring the problem before it gets worse. "In this case, we're looking at restriction of our pipes and damage of equipment if we don't stay ahead of this," said Mehrdad Morabbi, operations manager for Austin's water department. Morabbi said one of the screens protecting the intake pipe for a water treatment plant in Lake Travis was halfway covered with mussels, making it difficult for water flow. He said another of the intake pipe filters was covered with mussels at approximately 30 percent. Morabbi explained that if the zebra mussels cover the filters, it can clog up the pipes reducing water pressure, and forcing the city to increase it's energy use. "We've seen them on our water meters, equipment, and even strainers that clean the water to cool the pumps," Morabbi explained. He said although this isn't an immediate threat, if something isn't done it could lead to a bigger problem. "If we have any breaks, it'll take a long time to repair," Morabbi explained. "That's why it's very important to stay ahead of this." The city will now start budgeting $212,000 each year for mussel maintenance that will include hiring scuba divers to clean out the water intake pipes by hand. "The challenge that we have is the Zebra Mussels might have more than one spawning season," Morabbi explained. "We need to continue inspections as well as monitor and set up cleaning based on our water quality concerns." Scuba divers are expected to come back to several of these intake pipes this fall to remove zebra mussels if needed. 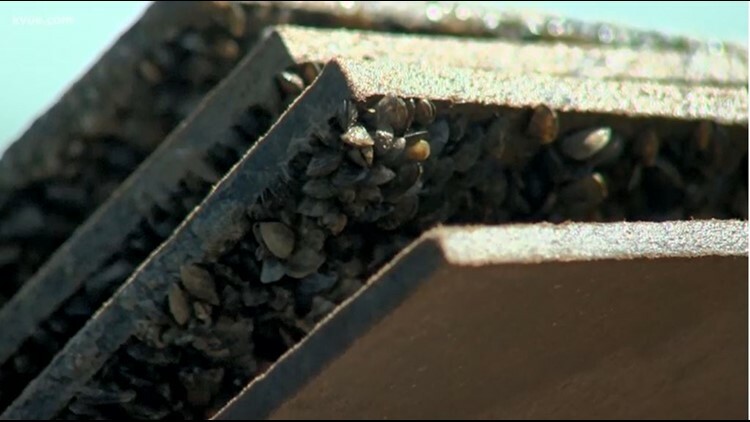 Officials with Texas Parks and Wildlife are asking boaters to do their part to keep zebra mussels from spreading. You should clean, drain and dry your boat every time you leave a body of water. For more information about zebra mussels, click here.